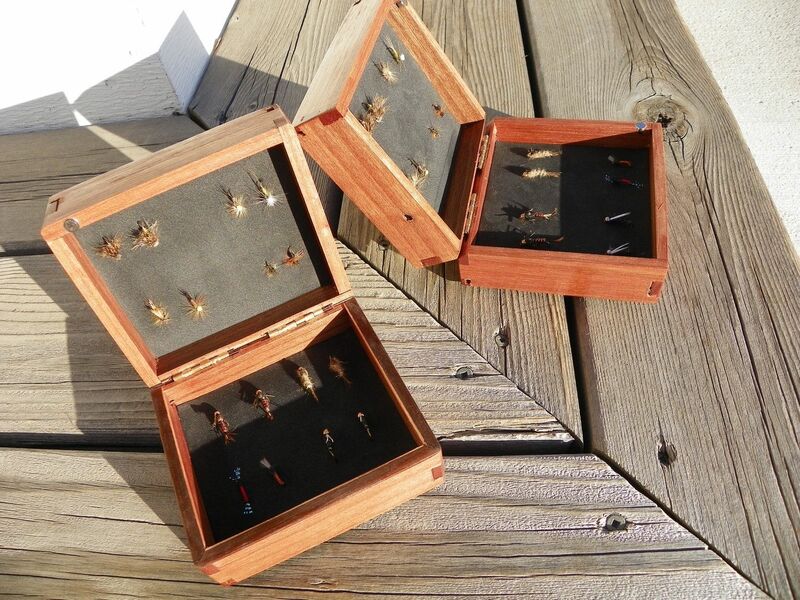 Get the ultimate Groomsman gift or Christmas gift! 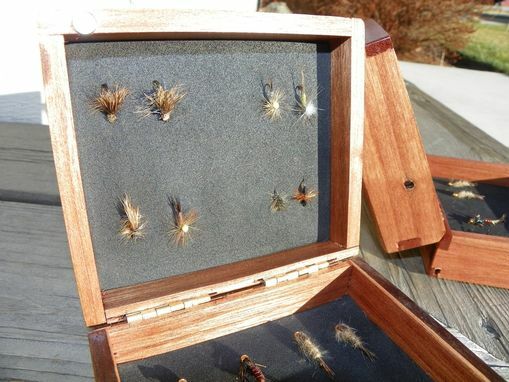 These are fishing fly boxes complete with a selection of flies tied by the woodworker. The wood is all reclaimed and the joinery is strong and beautiful dovetail joints. The sides are Mahogany (served as decking in its previous life, hence the nail holes) and the top and bottom are formerly Bamboo flooring. 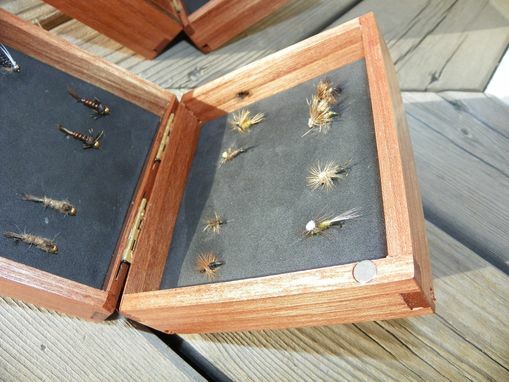 The flies can be a selection of several types. 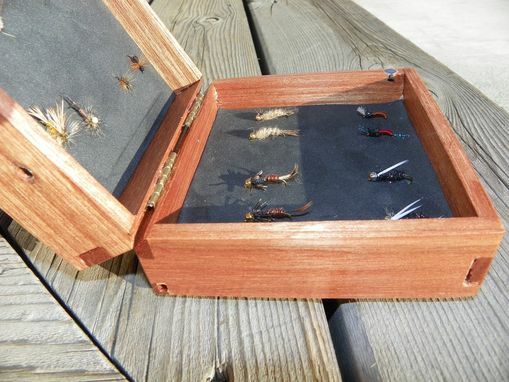 Allow them to fish responsibly in style!